Our new online package tracking system is ready to use! Simply click the button below to access our state-of-the-art online package tracking system. Are you ready to join a winning team? Use the button below to submit your application to us online. All drivers are professionally dressed, background checked, wear identification badges and are properly insured. When making deliveries, our drivers are supported by dispatchers and operations personnel. For quality assurance, when deliveries are completed, an electronic time stamped confirmation is sent to our customers. Friendly, professional and efficient are just a few of the ways you can tell you've got the best delivery person around. Global Messenger and Logistics ensures your delivery is on time and is our number one priority. Our fleet of cars, vans and straight trucks with lift gates can handle anything from an envelope to 12,000 pounds. When you have an item that needs to be delivered, the right way, Global Messenger and Logistics has the right equipment to get the job done. Odd shaped? Super heavy? Fragile? No matter what the cargo, your shipment is handled with the utmost care and professionalism and is delivered in our highly maintained delivery vehicles. Give Global Messenger and Logistics a try today. We are sure you will be happy and your delivery will be on time, the first time. 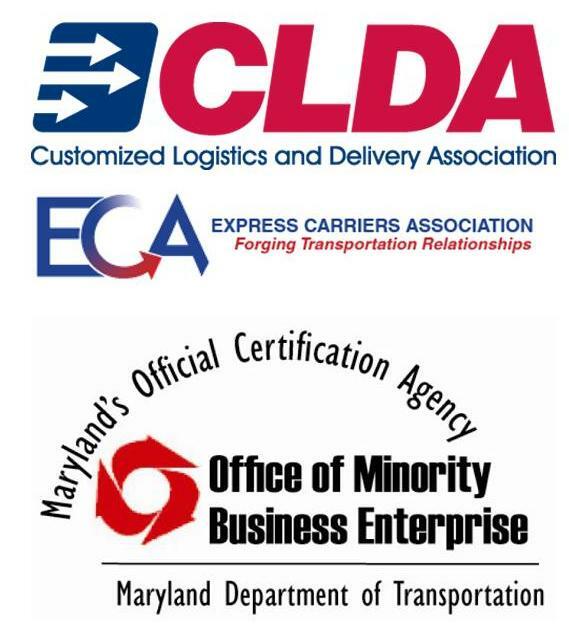 Global Messenger and Logistics has been servicing the Baltimore/Washington Metropolitan area since 1990. Our uniformed drivers and fleet of cars, vans and trucks is ready to help you with any same day delivery need you might have. Global Messenger and Logistics can deliver: envelopes, inter office mail, gift baskets, food platters, medical specimens, legal documents and subpoenas, machine equipment and parts, as well as pallets and freight weighing up to 12,000 pounds. We are available 24 hours a day, 7 days a week. Our drivers are reliable, courteous and fully insured. We service Maryland, Washington D.C., Virginia, Delaware as well as parts of Pennsylvania, New Jersey and New York and the rest of the Continental United States.